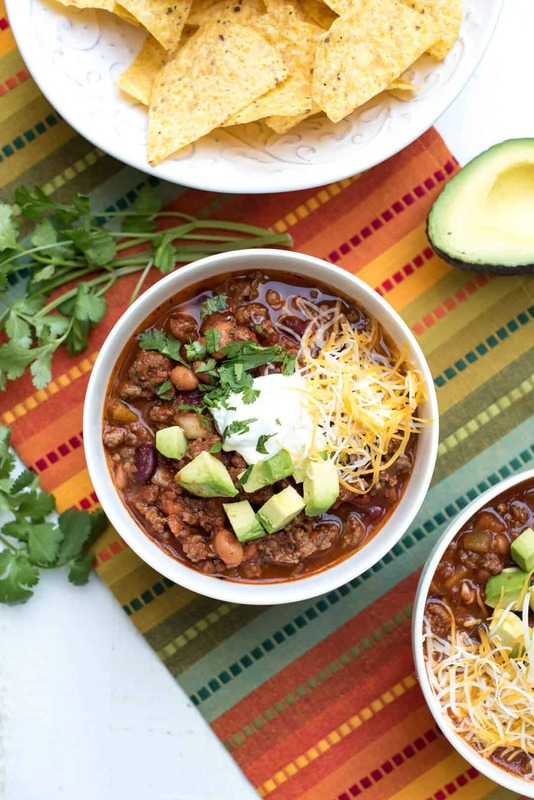 With just 15 minutes of prep time you’ll have this beefy Slow Cooker Salsa Chili simmering away for a fun game day meal or no-fuss dinner on a busy day. 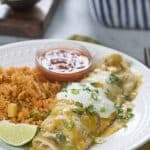 I crave Mexican flavors all the time, but even more so at this time of year. 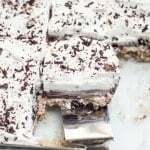 All of the traditional holiday fare we’ve consumed over the past couple of months just puts me in the mood for something different, fun and flavorful. 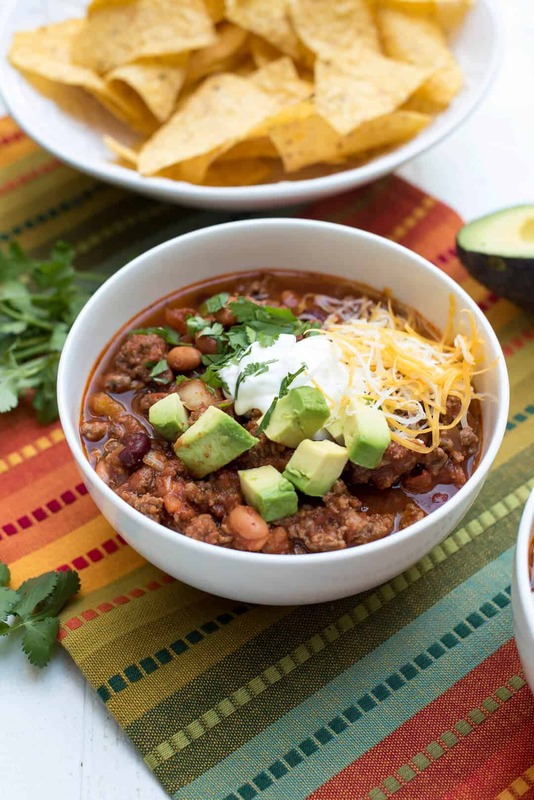 Whether you’re still entertaining, laying low in recovery mode, or have plans that will take you out of the house for the day, this Slow Cooker Salsa Chili is just what you need for a satisfying, stress-free meal. 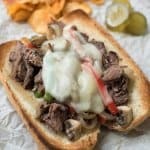 It’s beefy, substantial, warm and comforting which makes it the perfect post-holiday, lazy day meal or spot-on perfect for a game day gathering. 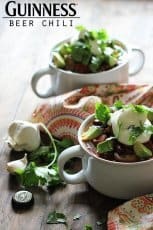 Fresh Cravings Chunky Salsa adds zesty flavor with minimal fuss, making this recipe an awesome busy day dinner idea any time of year. 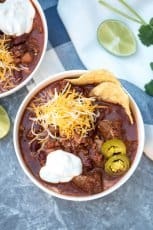 Fresh Cravings also has a Restaurant Style variety, but I think the chunks of tomatoes work really well in this hearty chili. 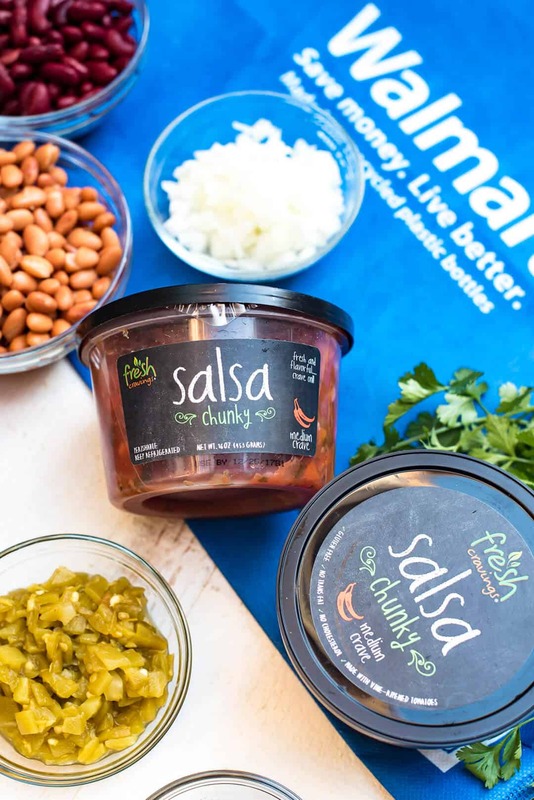 Fresh Cravings makes seriously game-changing refrigerated salsas that aren’t cooked like jarred salsas or pasteurized like other refrigerated salsas. 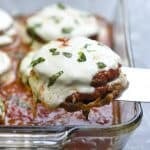 The ingredient list includes simple, fresh ingredients including vine-ripened tomatoes, onions, and chilis for bold, authentic taste making it an excellent ingredient in recipes like this. 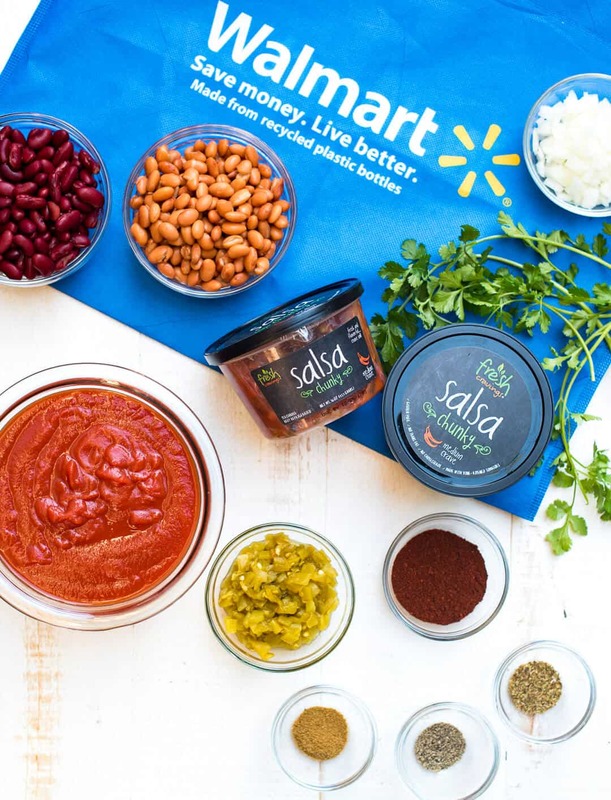 You can find Fresh Cravings refrigerated salsas in the chilled produce section (near the bagged salads and dressings) at your local Walmart store. It’s an incredible deal at just $2.98 for a 16 ounce container compared to $3.48 for the leading jar salsa. Earn a $1 back by using this iBotta offer when purchasing Fresh Cravings Salsa at Walmart. 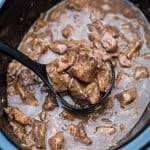 After browning 2 pounds of lean ground beef, this is literally a dump everything in the slow cooker and walk away recipe. 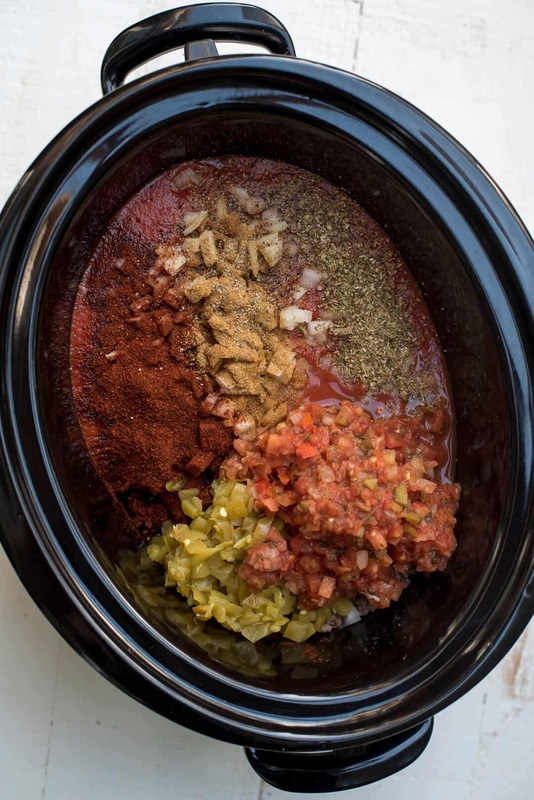 Transfer the browned beef to the slow cooker along with some diced onion, a can of diced green chiles, tomato sauce, a little beef broth, chili powder, cumin, oregano, and black pepper. 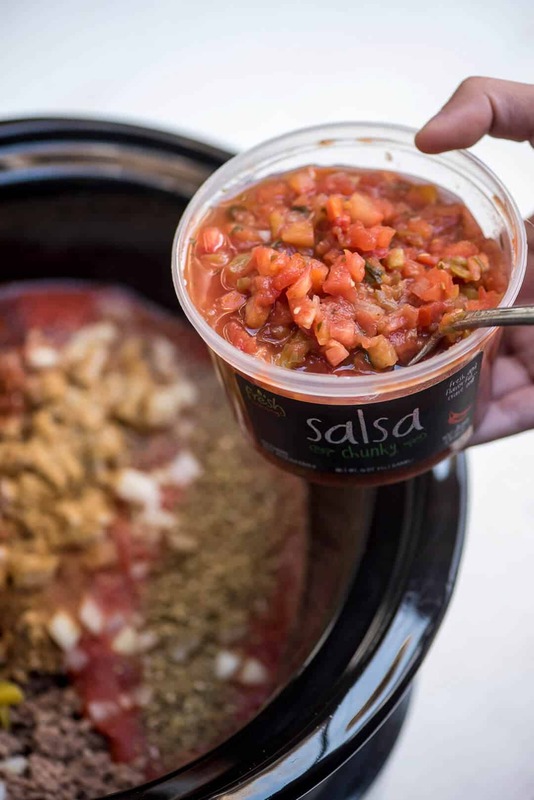 Stir in a full container of Fresh Cravings Chunky Salsa. I went with medium for a mildly spicy chili but you could use the mild variety if you prefer. Stir to combine and then cover and cook on LOW for 5 to 6 hours to let those wonderful flavors intensify. 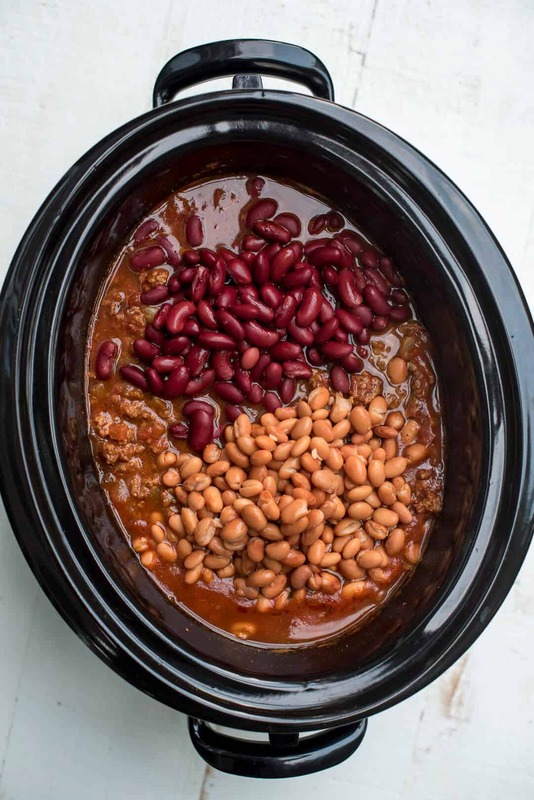 A can each of kidney beans and pinto beans are added during the last 30 minutes of the cooking time. 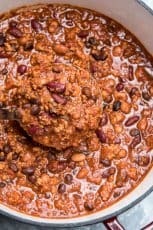 I always add canned beans towards the end in slow cooker recipes because it ensures they’ll have a nice bite and won’t get mealy or mushy from over-cooking. 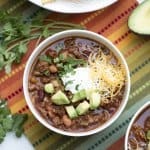 Serve it with your toppings of choice but I highly recommend a little sour cream and avocado. 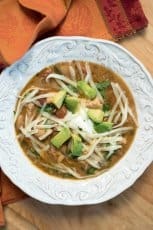 The avocado was absolutely delicious with the flavors in this recipe. 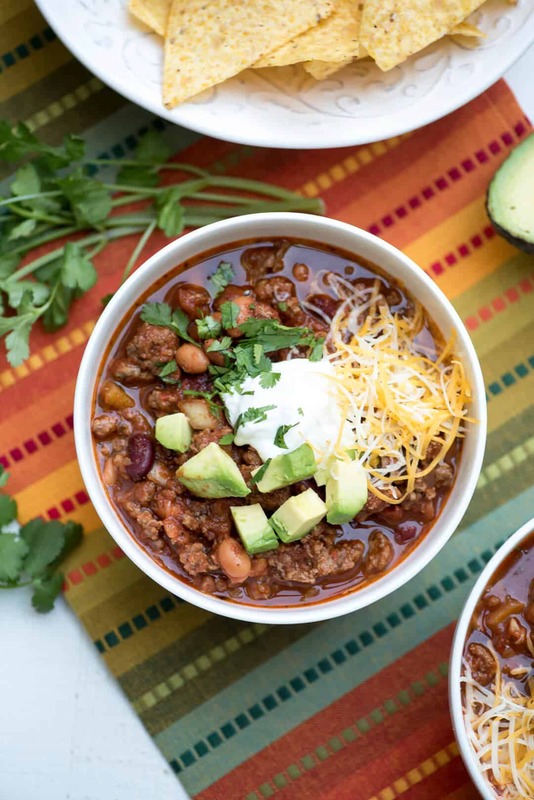 Grab the iBotta offer before heading to Walmart and get this chili on your menu! I think you’ll love it. Place a large deep skillet over MEDIUM-HIGH heat, add beef and cook, stirring to break up, until beef has browned. 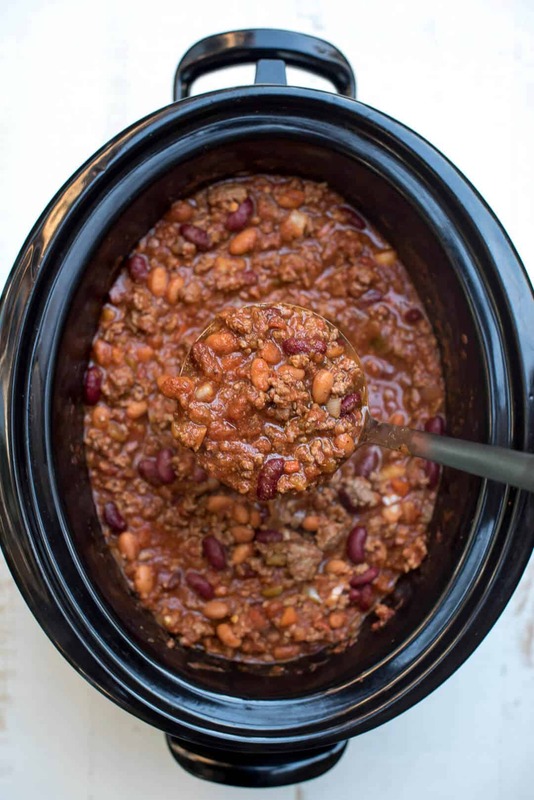 Drain grease and transfer the cooked ground beef to a 6 quart slow cooker. Add tomato sauce, Fresh Cravings Chunky Salsa, diced green chiles, beef broth, onion, chili powder, cumin, oregano, and pepper. Stir mixture, cover with lid and cook on LOW for 5 to 6 hours. After initial cooking time, stir in beans, cover and continue to cook on LOW for an additional 30 minutes. Also delicious spooned over tortilla chips, baked potatoes, rice, or cornbread. My husband will love this salsa! 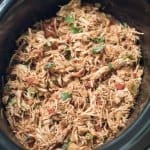 I love a hearty meal made in the the slow cooker! I bet that fresh salsa really adds a lot!